Two female terrorists have attacked a police bus entering a police station in Istanbul. They threw grenades and opened fire at the vehicle. The pair were later eliminated by law enforcement officers after they were cornered in an adjacent apartment block. Dramatic footage shows the moment the two women attacked the riot police bus, which was about to enter the police compound. One can be seen shooting at the vehicle with a machine gun, while the second threw a grenade, before both fled the scene. Reuters reported that one of the women was subsequently injured in a shootout with police, and law enforcement officers were able to track the pair to an adjacent apartment block. After clearing residents from near-by building in the Bayrampasa district, they stormed the building and killed the two females. There was allegedly a third attacker who escaped in a taxi following the initial assault. The person is thought to be injured and may be in search of medical help. All hospitals in the area have been notified, the Istanbul Daily News reported. No group immediately claimed responsibility for the attack. However, the Anadolu news agency reports that the two women have been identified as members of the leftist DHKP-C militant group. 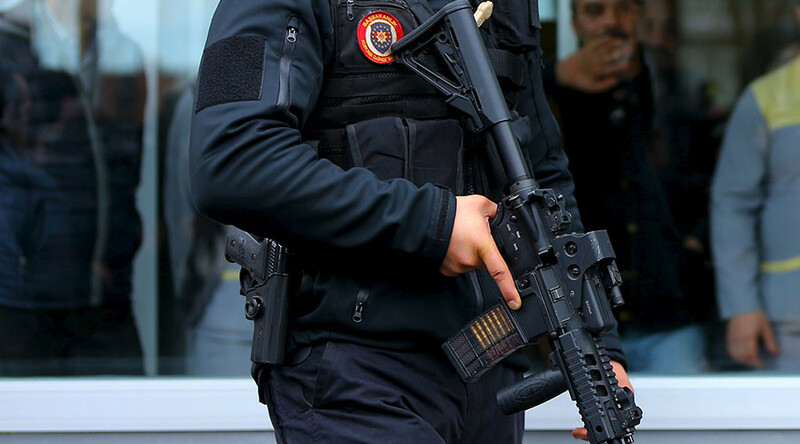 The Revolutionary People's Liberation Party-Front (DHKP-C) has repeatedly staged similar attacks on police stations, the majority of which have been in Istanbul’s suburbs. In August, the group admitted carrying out an attack on the US consulate in Istanbul after two women opened fire at the building. The far-left group also killed a Turkish security guard in a 2013 suicide bombing of the US embassy in Ankara. Tensions in Turkey have been running high over the past few months, as Ankara continues its fight against the PKK (Kurdistan Workers’ Party), which it views as a terrorist organization. A fortnight ago, at least 28 people were killed and 61 injured in a car explosion in Ankara. The bombing took place near the parliament building and targeted military personnel. Turkey’s leadership blamed the Syrian Kurdish YPG militia for the blast, although the Kurds denied it. In October, two suicide bombers left 101 people dead in the capital, while a demo for peace was going on.